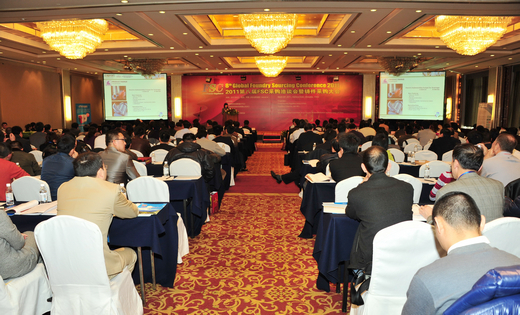 The 8th Global foundry sourcing conference 2011 was held successfully at Rainbow Hotel on March 23rd, 2011. 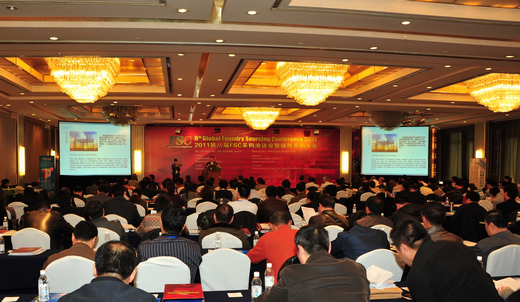 The FSC conference was organized by China Foundry Suppliers Union and Suppliers China Co., Ltd, co-sponsored by National Technical Committee on Foundry of Standardization Administration of China. 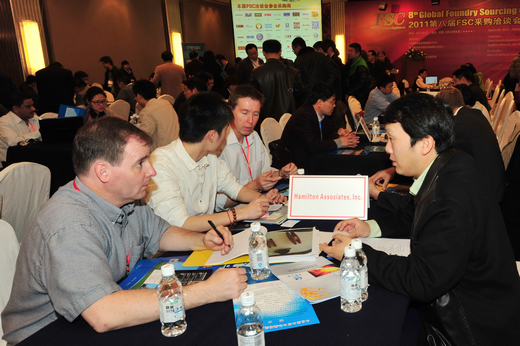 The conference attracted more than 320 representatives at home and abroad. Among them, there are more than 100 global purchasers from over ten different countries, including America, Canada, Germany, UK, Italy, Belgium, Denmark, Australia, Japan, India, Pakistan, etc. 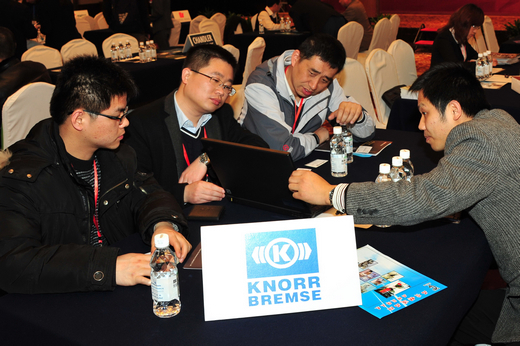 Purchasers including FMC, JCB, AVK, Gamesa, Blohm, GIW, MAN, Alstom, Dana in USA, Metso, ZF, Flow, Knorr-Bremse, Aicta in the Czech Republic, AF Compressors (Kunshan) Co., Ltd, Chandler Industries Inc, Rotork, Iveco, attended the conference. In addition, some purchasers like Rossi, CAPRARI S.p.A, Outsorceror Ltd, Rotork, ZF, Federal Signal, and Iveco held special purchasing presentations. They made an introduction of their purchasing products, the requirements for casting materials and casting techniques, annual purchasing amount, and the way to enter the supply chain in the purchasing presentation. 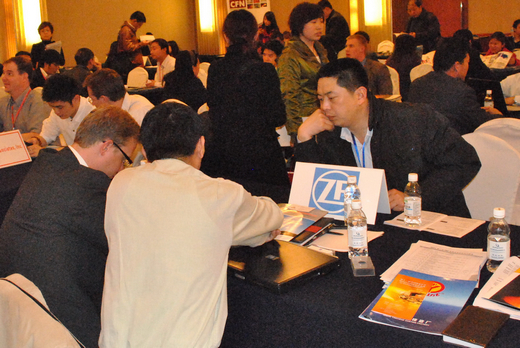 Both the suppliers and purchasers spoke highly of the high efficiency, fast-paced schedule, they thought it greatly improved the efficiency to publish the purchasing demand for the suppliers and provide face-to-face talk with potential suppliers within a day. 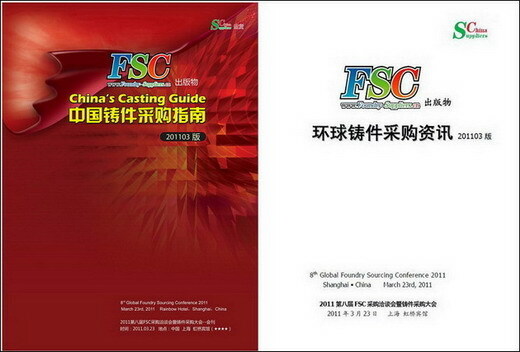 Especially, China’s Casting Guide, meticulously edit by the organizer, was considered as a necessary reference book to purchase foundry in China. 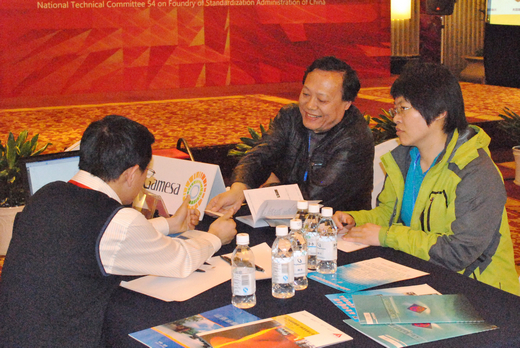 The delegates of British Outsorceror Ltd said, according to their demand, FSC filtrated and connected them with many suppliers and got the specific offers before the meeting, making the face-to -face talk more pertinency. They visited three casting factories in Wuxi and Ningbo after the conference and were satisfied with the increment service. 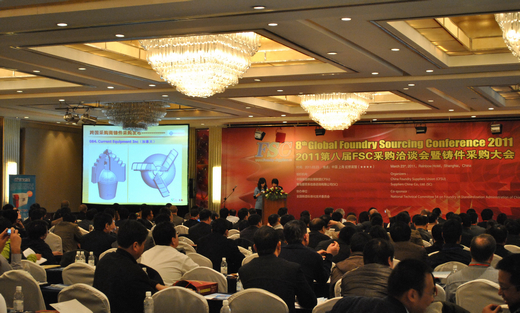 More than 220 casting suppliers from the enterprises of self-owned foundry plants in China participated in 8th FSC Conference which have already passed one or more international and environmental protection system certificate. All of them have strong manufacturing and research abilities. 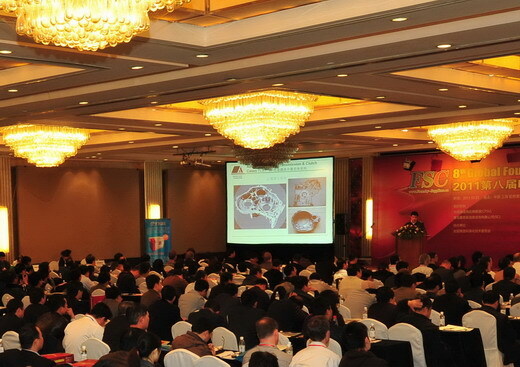 Among them, representatives from Shenyang Casting Institute, Shanghai No.1 Machine Tool Foundry (Suzhou) Co., Ltd, Ningxia Hong Rock Mining Co., Ltd., Shandong Xinankai Power Technology Co., Ltd., made the products presentations, which drawn the most attention from purchasers, as they made an introduction of the company, its speciality, the blueprint of the company’s future, etc. 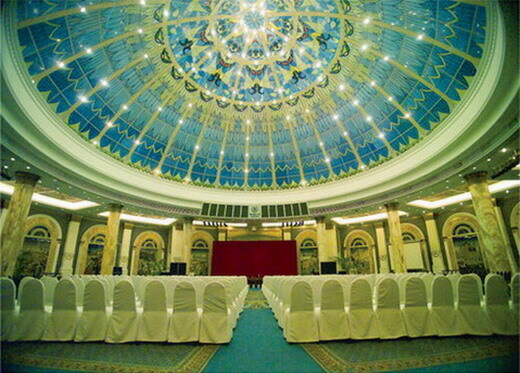 during the presentations. 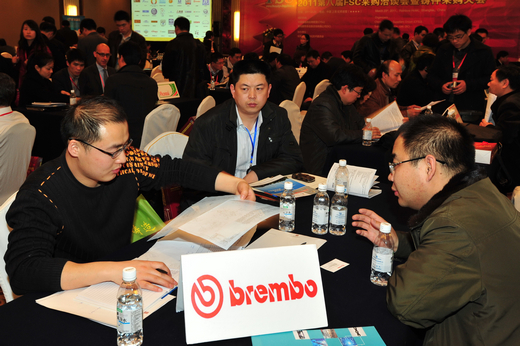 Besides, some suppliers also brought casting samples of various materials, and it had a strong appeal to the purchasers for visiting and negotiating with them. 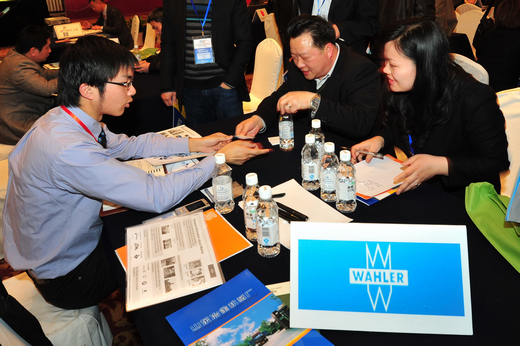 In the afternoon, the conference tables were set up for the purchasers and suppliers to have a free talk with each other. 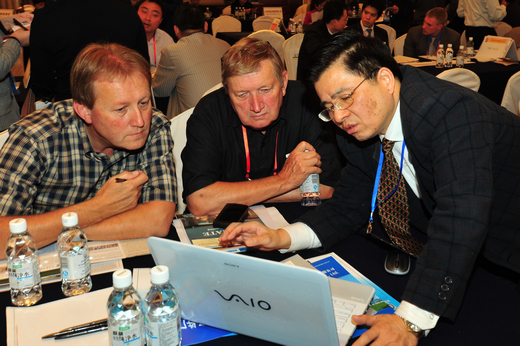 Most purchasers found their potential suppliers and they made an appointment to visit the suppliers’ factories after the conference. 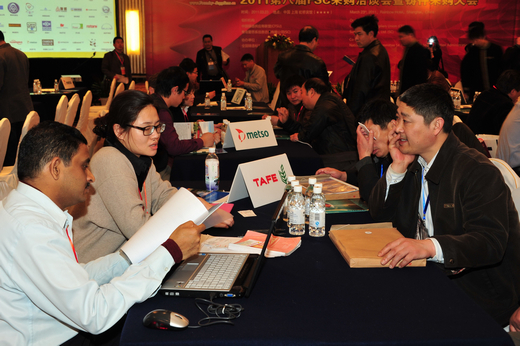 Suppliers showed that through trade matching and reading the information from Global Casting Information before the meeting, and the arrangements, including purchase discussion, purchase explanation and the products promotion conference, and face-to-face talk between purchasers and suppliers, it was easier to know the demand and visit the factories, shortened the time, simplified the proceedings of the conference, and promoted the development of foundry business from home to abroad. 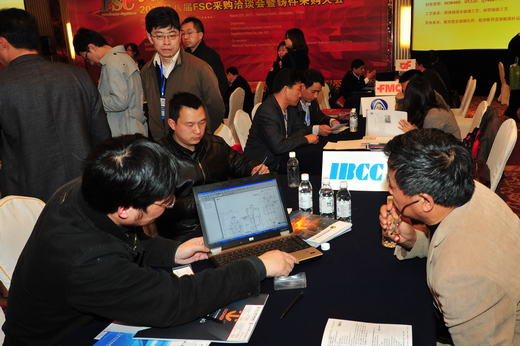 With marketization, FSC provides comprehensive online services for casting suppliers and purchasers in order to optimize supply chains and decrease purchasing cost, and it has become an important platform for overseas casting purchasers to get to know the Chinese casting suppliers. 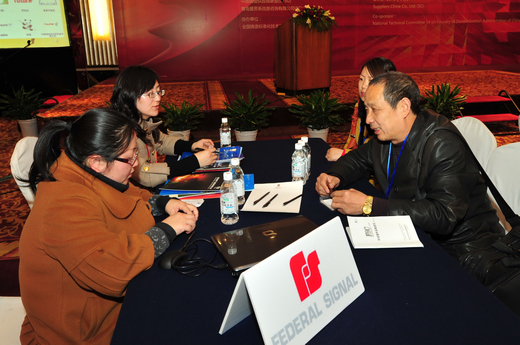 Through the conference, CFSU offers not only a professional communication platform for suppliers and purchasers, but also offers the professional online platform--the official website of China Foundry Suppliers Union, which is corresponding with FSC sourcing conference. 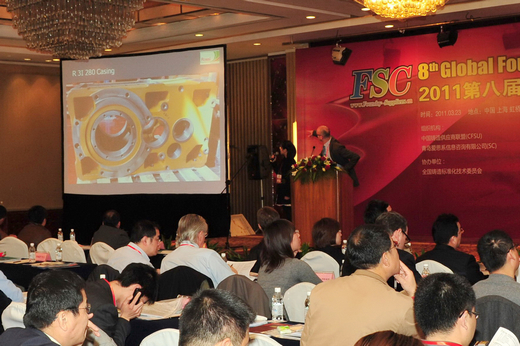 In this way, we believe that CFSU will make much more contribution to the development of the Chinese Casting Industries. 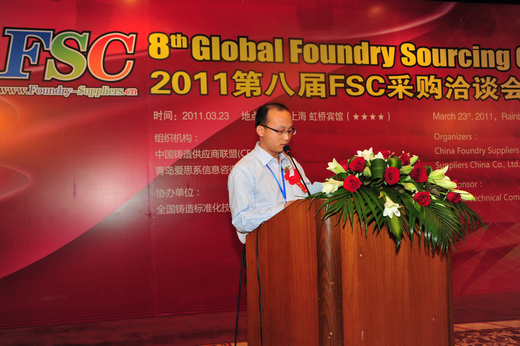 It is reported that the 9th Global Foundry Sourcing Conference will be held in 23rd September 2011, at Regency Hotel Qingdao, come and join us.